I started 2018 with 54,562.1 yards or 13,076g of yarn in stash and 1,680g of fibre. My aim for 2018 is still to try and work through as much of this as possible, whilst limiting my purchases (but not going the full ‘cold sheep’). 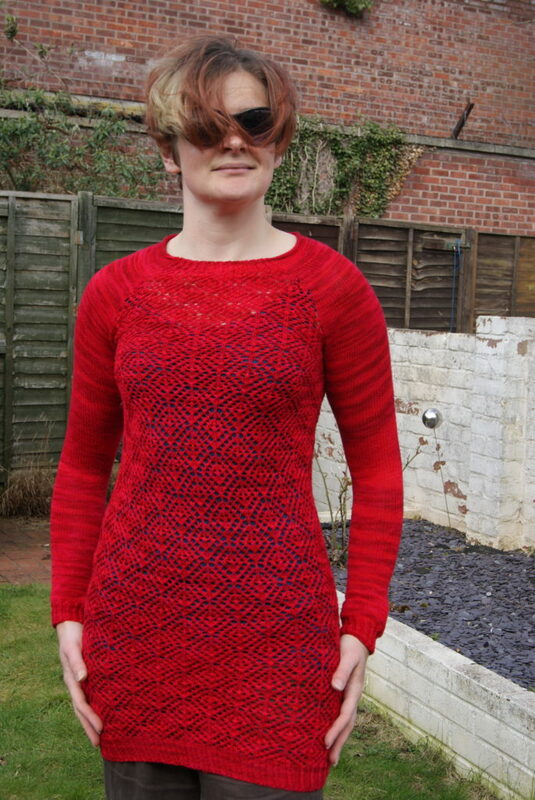 Ravelry has also included a ‘challenge’ feature in which I have committed to try and complete 12 knitting projects during the year, and I’m going to try and make them all sweaters (all the better to use up yarn). Alas there isn’t also a spinning challenge option, but Tour de Fleece will be coming up again in July and I’ve probably not got enough fibre for the duration (shame, and I won a gift voucher from my favourite dyer too). I started the stashdown by spinning up some fibre (promptly giving myself a ganglion cyst having been away from the wheel for so long). 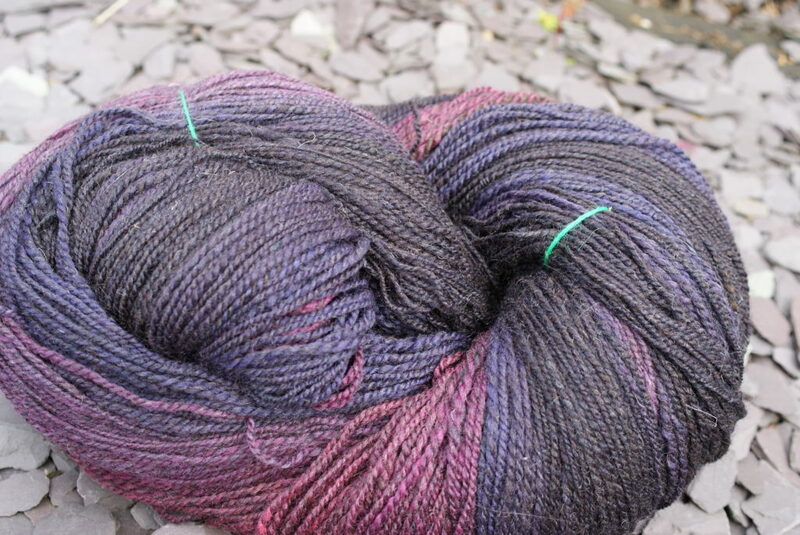 280g of fibre somehow turned into 292g of yarn, a 2-ply gradient in ‘Winged Fancy’ colourway. 904 yards total. I then thought I’d better get stuck into the stashed yarn, having just increased my net stash, so pulled out some Wollmeise and got stuck into a sweater. Miranda’s Mom used up a full 2 skeins, so 1,150 yards (300g). Another sweater quickly followed, this time Mesmeric, which used up another 2 skeins of Wollmeise, this time 300g gave me 1,020 yards of yarn. Marathon training was kicking in at this stage, and I didn’t want to add in treadling to already tired legs, so I kept up the sweater-knitting kick and used up another 880 yards (or 258g) of yarn in Hyperion. One last sweater to finish off the quarter, this time I turned the Abisko sweater upside down (and lengthening the sleeves) so that I could just keep working until I ran out of yarn. 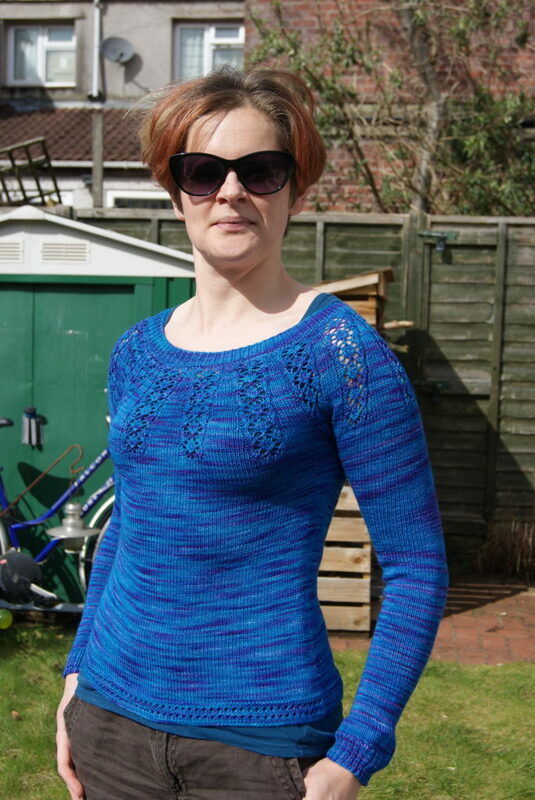 This turned out to be quite a long way, given the lace, turning the sweater into a dress and using up 300g or 1,150 yards of yarn. Q1 fibre stash reduction: 280g. Yarn stash: 51,266.1 yards (just over 29 miles). 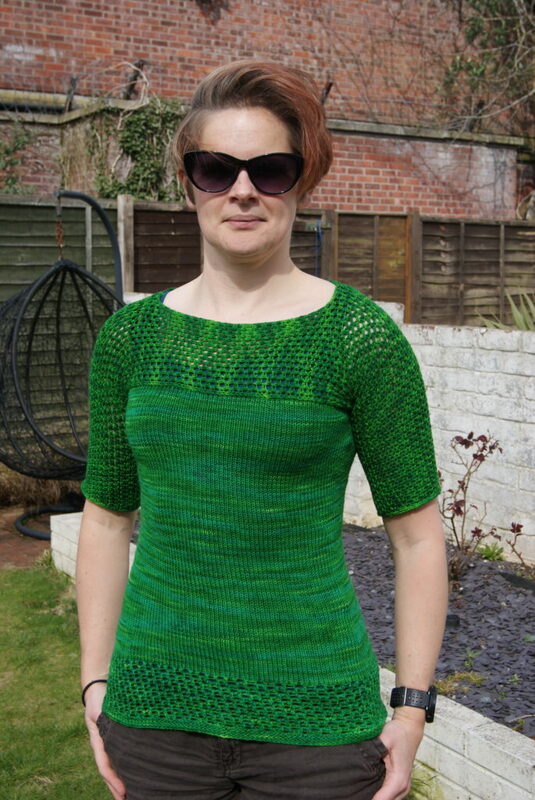 This entry was posted in Knitting, Spinning and tagged stashdown, stashdown2018 on 2 April, 2018 by fakoriginal.